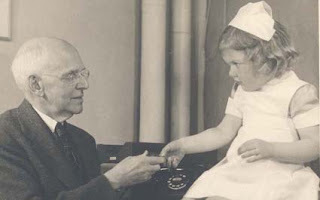 #IWishThatPeopleKnewThatDiabetes was treated by Dr. Joslin before and after insulin was discovered. Dr. Joslin was called "Dr. Diabetes" in is time. Here is his story, presented by the American Diabetes Association. He treated type 1 diabetics in the early 1900s, before insulin was discovered. I know several T1 people who were treated by Dr. Joslin. They are alive, without serious complications, and are Joslin Medalists. I wish I had lived near Boston in my childhood. He would have been a great doctor for me. My doctors in the southern states knew so little about diabetes.